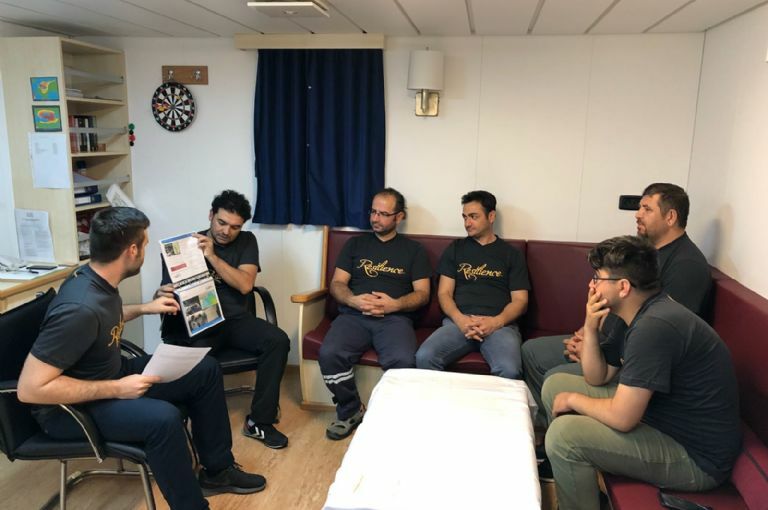 Resilience Training is held on company vessels. Armona's Deputy CEO conducted a safety-related visit to the Atlantis Alhambra in A Coruna, Spain. The picture was captured at dawn after the visit was completed. 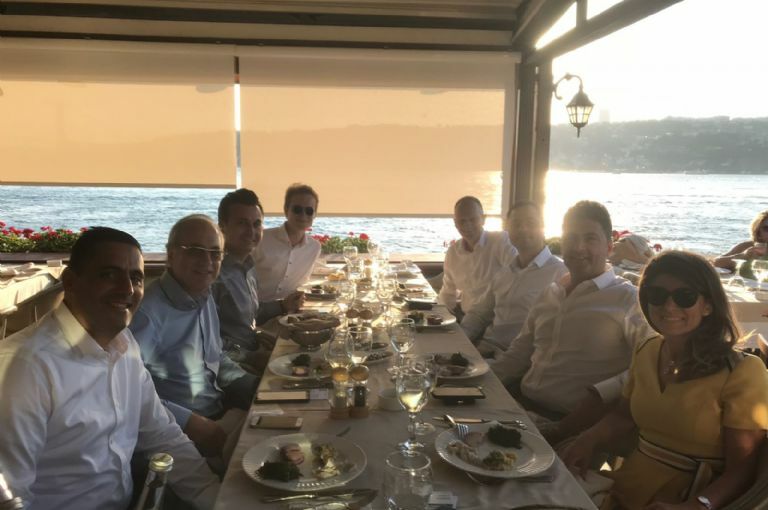 Cockett Marine Oil invited a select group of Turkish and Turkey-Linked Shipowners for dinner @ Del Mare. 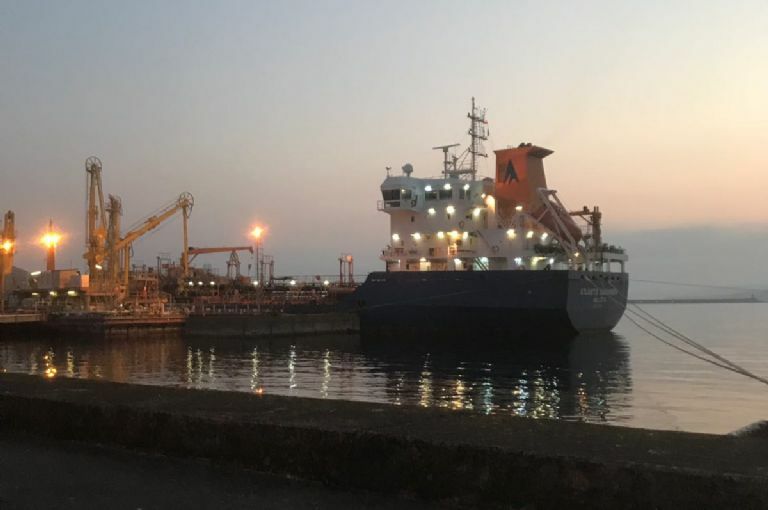 Shipowners and Senior Management attended from Atlantis Tankers, Genel Denizcilik, Gungen Denizcilik and YASA Holding. The evening was a spectacular success. We like to express our utmost gratitude to the hosts Cem, Burcu and Ilker (Illy) for bringing this powerful community together. No one expected the night to be so entertaining, uniting and long-lasting. Omer Gungen (the older brother of Selim) also stopped by for a chat. Another heartwarming surprise was that at the table next to us a strong elderly man and his wife got up and came over to our table. Ismet Uner (Owner, Founder, and President of GEMAK Group of Companies) and his wife joined our informal gathering. The shipping world is a small community. Tonight was a stellar example of how much community and family matters. We thank you all for such a rewarding evening! 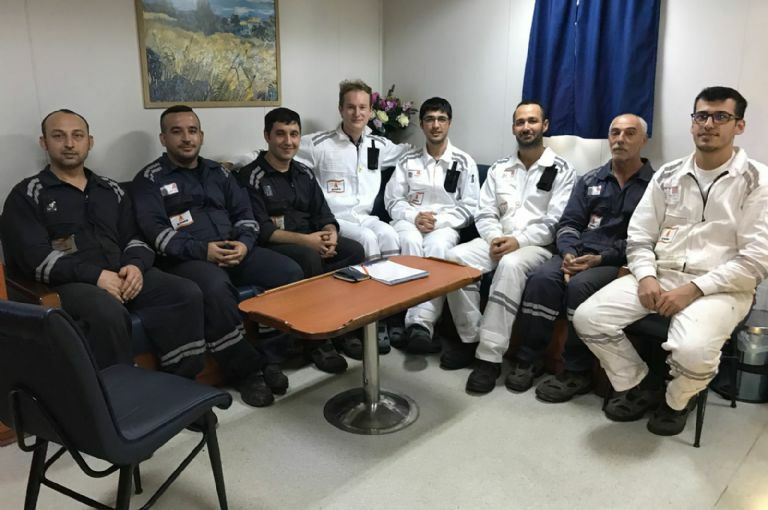 Pictured [starting left clockwise]: Ilker Dibekoglu (Cockett), Orhan Karademir (Genel), Cem Saral (Cockett), Marlon Weinstabl (Atlantis), Kapt. 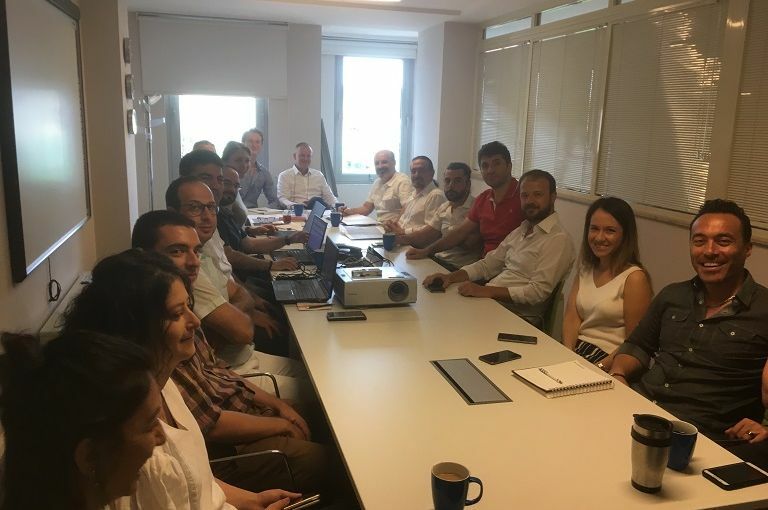 Erbil (YASA) [not pictured], Lorenz Weinstabl (Atlantis), Selim Gungen (Gungen), Aydin Aydin (Genel), and Burcu Meselik (Cockett). The Atlantis Summer Party 2018 was hosted on the 28th of June 2018 in the new office building. Atlantis' Taste of Summer is celebrated every two years. This year's event was the second one in company history. Brokers, Operators, Bunker Suppliers, Traders, Lawyers, and Shipowners attended the event. The great majority of the guests came from abroad; ranging from countries all over Europe, North Africa, and Asia. We would like to thank all those involved in the organization and execution of making this event the most successful of its day! Atlantis will continue to continue this event every two years on even-numbered years. We hope that other companies who also held their event at the same time, on the same day, will try to structure their future events in a way that no conflict of interest is created for our guests. Thank you to all those who came. See you in 2020! Armona's Deputy CEO conducted a safety visit to the Atlantis Araceli in Sines, Portugal. 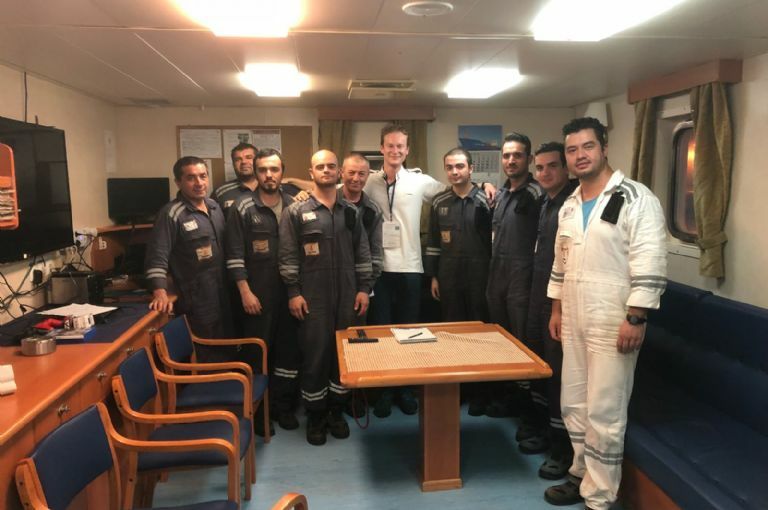 Marlon Weinstabl (pictured in the middle) conducted a safety-related visit that has become a norm at Armona Denizcilik for the leaders of the company. The vessel is in great condition as she has recently completed her special survey. We wish the crew and her a safe journey down to West Coast Africa. Armona's Deputy CEO conducted a safety visit to the Atlantis Antalya in Tarragona, Spain. The senior management places great importance on visiting their vessels. The feedback, exchange of ideas and safety topics help the company stay strongly unified in their vision for a Zero-Incidence Industry. The initiative for these visits derives from the Shell Maritime Partners in Safety. We thank them for inspiring us to do better every day and we believe we can make the world a safer place.